Trends in the legal world come and go each year, bringing with them new developments and changes to law firms. In this podcast we talk about our predictions of the top digital marketing trends for law firms in 2019. Our 2018 Social Law Firm Index research shows that law firms are starting to inch away from using Facebook in their marketing efforts. Firms are having a harder time reaching their target audience through organic Facebook usage, and getting much value out of the network. Our prediction? We will see less of a focus on organic Facebook usage, but more firms and lawyers investing in paid Facebook campaigns because it enables targeting and is half the cost of Google ad campaigns. Being a social media platform that has been under the radar for numerous years in the legal world, Instagram is rising to be of interest to law firms and lawyers alike. With over one billion users, it’s not surprising that the legal industry is jumping on the photo-centric platform. Firms have begun to use Instagram to set the culture of the firm and attract talent. Chatbots can be found on various parts of websites as a way for potential clients or viewers to easily get an answer to any of their questions. They allow for a more immediate response, therefore a higher level of client satisfaction. Conversational marketing has exploded in the past year, and will continue to do so. The difference? Firms are starting to make their chatbots more sophisticated to enable a wider range of function. 2018 experienced an explosion of video usage – a trend that’s no doubt en route to continue this year. However, more sophisticated firms no longer seem to be satisfied by simply throwing videos out for the world to see. Enter: strategic usage of video and analytics! This data is used to determine ROI to see how your videos are being received. This year, determining reception is the priority. More savvy firms are figuring out that the best way to measure ROI of marketing and business development efforts are through integrated campaigns. These campaigns focus on a specific topic, but are capable of being multidimensional through the incorporation of social, testimonials, and video. This year, we predict email personalization is in! What does this mean? Personalization entails a segmented email that strays far away from spamming clients or prospects. Send only the emails you know your clients would be interested in. Marketing automation is becoming a tool to strategically optimize and automate tasks that firms do repeatedly. 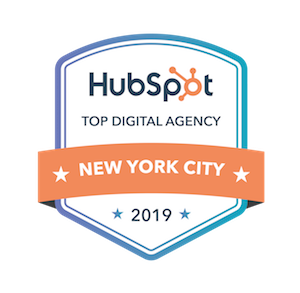 Platforms such as HubSpot are being used to analyze individual touchpoints on digital marketing platforms such as websites, social, and email. The rise of digital analytics is a trend that is no doubt being driven by marketing automation. This year, we predict you’ll see law firms display the ability to measure data on a personal level, and measure touchpoints by individual and campaigns. With devices such as the Amazon “Alexa” and services such as Apple’s “Siri”, voice search is becoming more and more prominent in today’s society. This year, we predict you’ll see more firms invest in local SEO to determine how they too can leverage voice search so that their firm shows up when people utilize this technology. Many firms have not yet figured out how to turn their websites into lead generation machines. This trend targets mostly smaller firms who are actively looking to see what they can do to optimize their website to increase their conversion. This increase will then serve to generate qualified leads and to advance the firm’s leadership position. There you have it, our top law firm digital marketing trends for the coming year. Think we missed something? Are you curious about implementing one of these new trends in your law firm’s 2019 digital marketing strategy? Contact us for a free consultation.